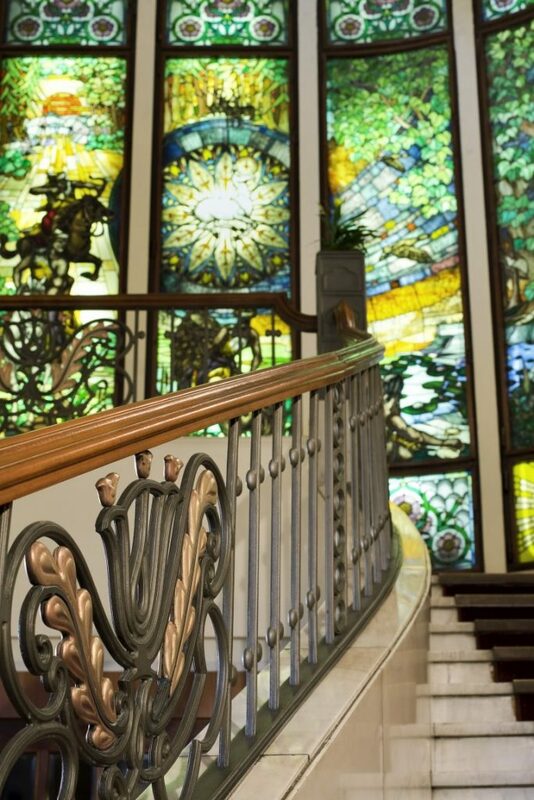 The beauty of Hotel Gellert has reached Hollywood! The gorgeous hotel has inspired many producers since it’s been one the favoured destinations of the movie industry from the 1960’s. The Stile Florelae-style building has hosted many World-famous actors and housed many movie productions. 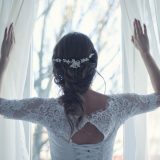 In this article we list the best movies that made this stunning building a favourite destination of the movie industry. Without mentioning every single one of them, the list of the most famous actors that were once stayed with us in Hotel Gellert goes from Anthony Perkins, Catherine McCormack, Charles Durning, Eddie Murphy, Famke Janssen, James Belushi, Jennifer Connelly, Jennifer Lawrence, Jessica Lange, Jonathan Pryce, Julian Sands, Klaus Maria Brandauer, Kovács Kati, Lynn Whitfield, Madonna, Miguel Ferrer, Ornella Muti, Owen Wilson all the way to Éva Ruttkai. 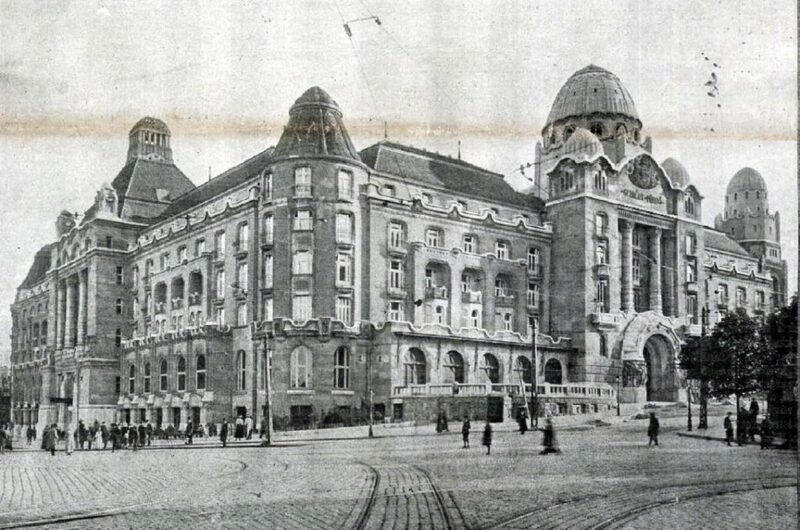 Between the two World Wars the hotel was already one of the favourite destinations of foreign movie industry professionals working in Budapest. 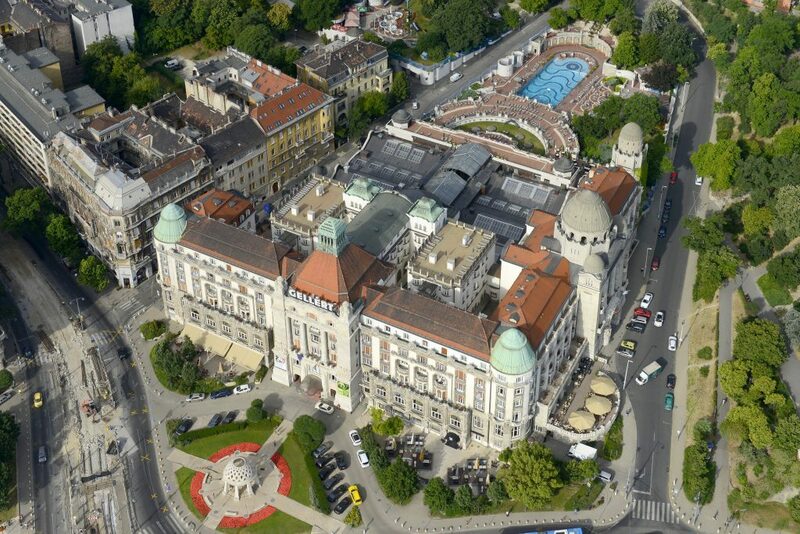 Since the 1960’s Gellert has constantly been hosting movie makers and famous faces. The first ever mega success that was shot in Hotel Gellert was made by no other than the legendary Tarzan movie producer, Richard Thorpe. 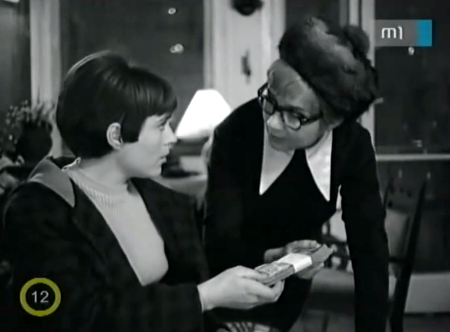 The Hungarian-American co-production, The Golden Head was made in 1963 in which British youngsters in Budapest attempt to catch the thieves of the golden bust of Saint László. 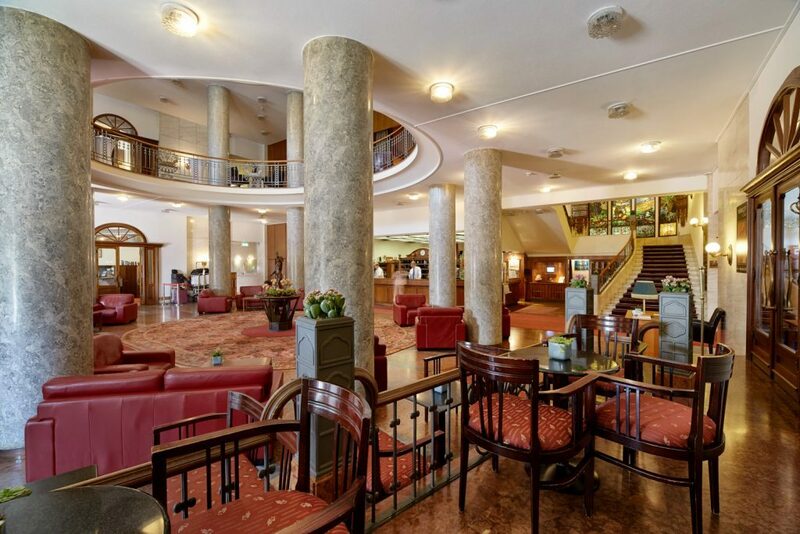 In the movie we can see the old reception area that was used until the 1960’s, as well as the old cobbled Gellert Square outside the hotel. A hamis Izabella (The Fake Isabelle) was shot in 1969 in which the two most famous ladies of the era, Eva Ruttkai and Kati Kovacs both played significant roles. 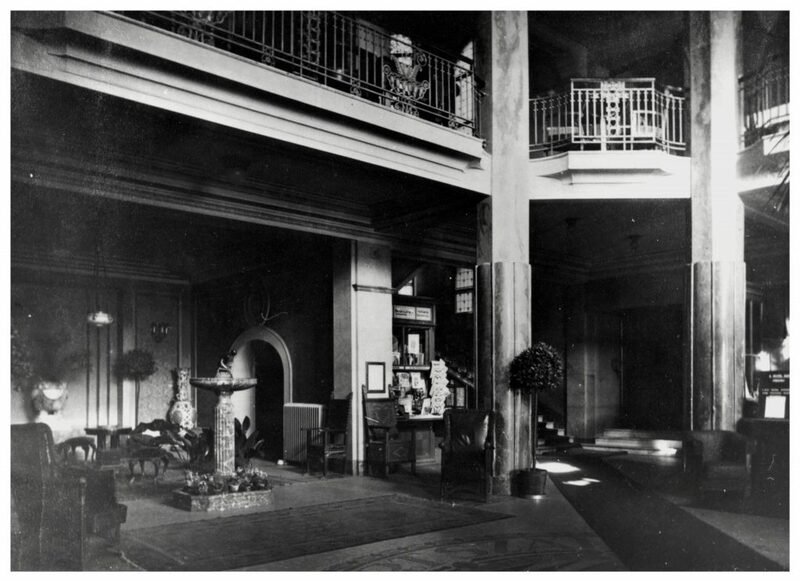 The bar and the lobby of the hotel are seen many times throughout the movie. In the 70’s Hungarian producers started to explore the hidden gems of the hotel. The 5-episode Hungarian series, A Kantor (The Clerk) shows the hotel’s first floor apartment where the two jewellery smuggler, Istvan Bujtor and Rudolf Somogyi are having a casual chat. Kojak in Budapest, a Hungarian spin-off of the American crime story aired in 1980. Laszlo Inke, who was originally Telly Savalas’ Hungarian voiceover in the well-known Kojak series, played the famous detective. 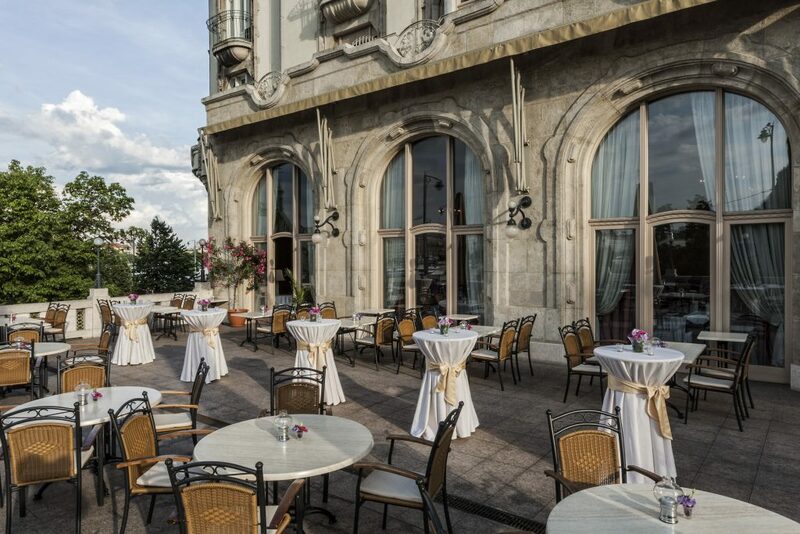 The hotel, which was already one of Budapest’s most famous landscapes appears in the movie many times. Csontvary, an astonishing movie about the painter genius Csontvary came out in the same year where the hotel lobby is shown. The Oscar-winning production, Mephisto was made in 1981 and featured the gorgeous building many times in its pictures. Klaus Maria Brandauer stayed in the hotel for months whilst shooting the movie. The Austrian celebrity returned to Gellert several other times after the shooting was finished. 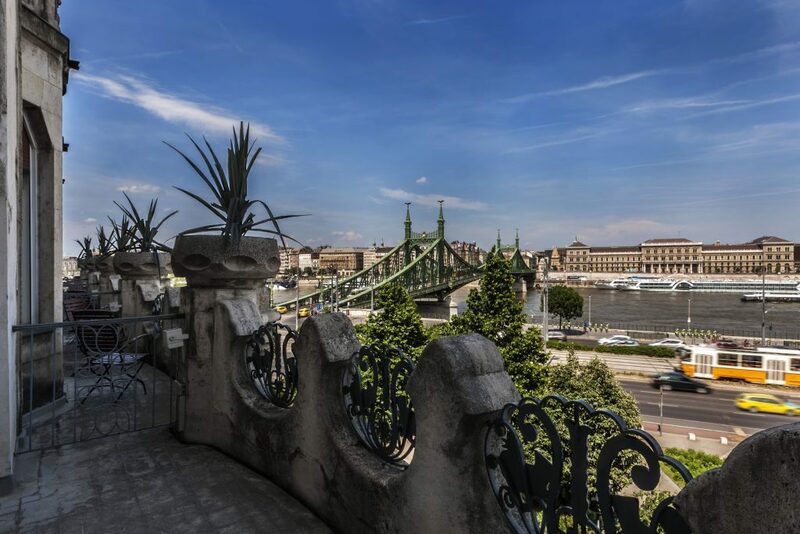 The stunning view of the Danube from the balcony is one of the key features of the hotel so no surprise that many movies took advantage of this outstanding opportunity. 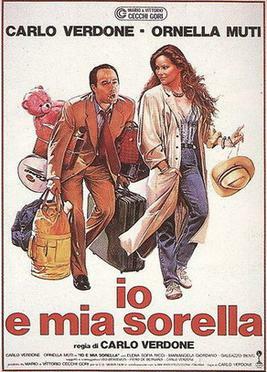 In the Italian production, Me and my sister (Io e Mia sorella) the leading lady, Ornella Muti is shown with her hands on her hips stood on one of the enchanting balconies. 1988 brought a very busy year in the hotel’s history as 4 different productions were made in the building. To start with, a low-cost thriller with Anthony Perkins, The Edge of Sanity was shot in here. 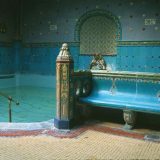 In the ballet-themed thriller, The star, Gellert represents Jennifer Connelly’s Budapest residence. Another Hollywood star, Charles Durning also appears here as he is taking part in an auction in the hotel lobby. Lastly, a Hungarian-American co-production, Eroltetett menet tells the story of a famous Hungarian writer, Miklos Radnoti’s life. In the Costa-Gavras movie, Music Box we see Jessica Lange, the Oscar winning actress arriving in the hotel as an American layer. In the screenplay which was originally Hungarian, written by Joe Eszterhas, we are a part of a World War drama’s engaging storyline. 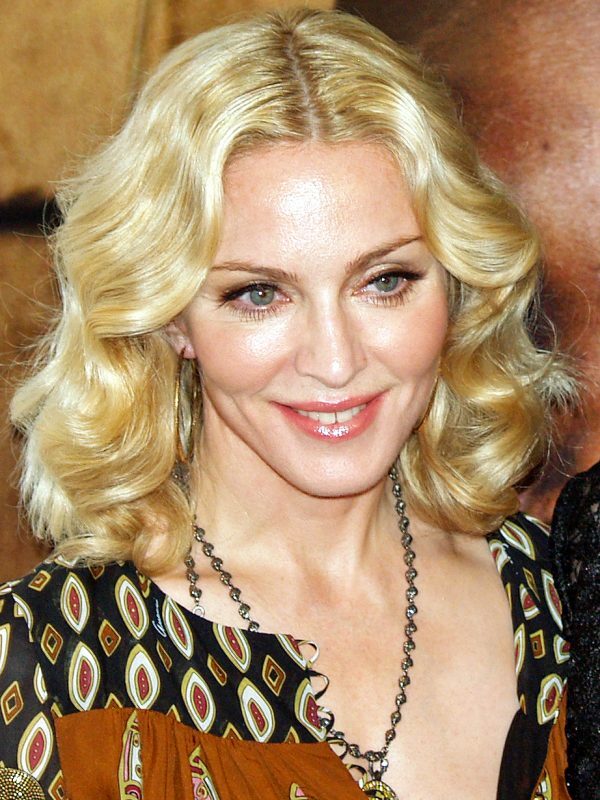 Do you remember Madonna starring in the outstanding movie called Evita? Believe it or not the hotel appears as an Argentinian building in the Oscar and Golden Globe winning super-production, too. 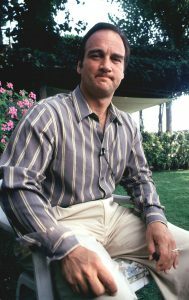 In 2001 many more celebrities visited the hotel. 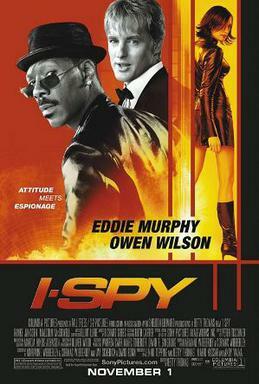 The shooting of I Spy with Eddy Murhy, as well as Owen Wilson and Famke Janssen’s appearance were an absolute sensation. 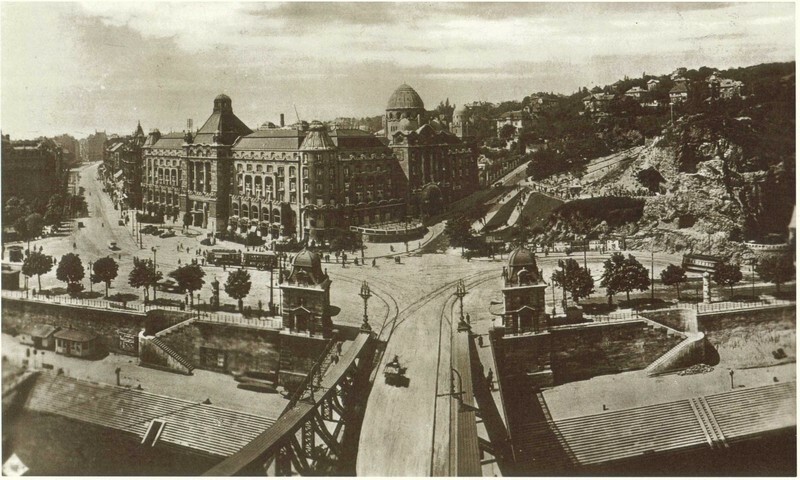 The producers took advantage of the beautiful Budapest landscape therefore all famous venues such Chain Bridge or the Royal Palace were featured in the movie. Of course the stunning Gellert was no exception. The Moon and the stars was shot in 2006 directed by John Irvin. Catherine McCormack and Jonathan Pryce were both outstanding the movie. The hotel is present as a Roman hotel and hosts the closing scene of the movie. 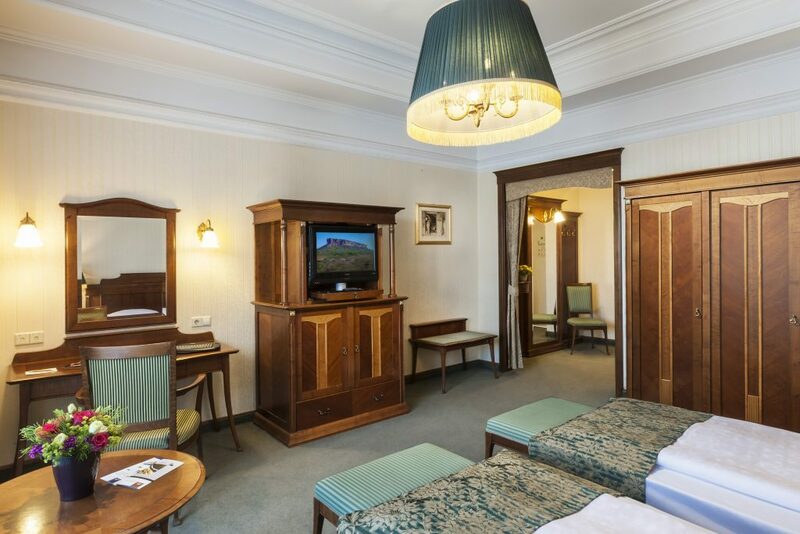 In recent years movie tourism has been booming which had a great impact on Danubius Hotel Gellert. In 2017 we were hosting many more celebrities and famous faces. 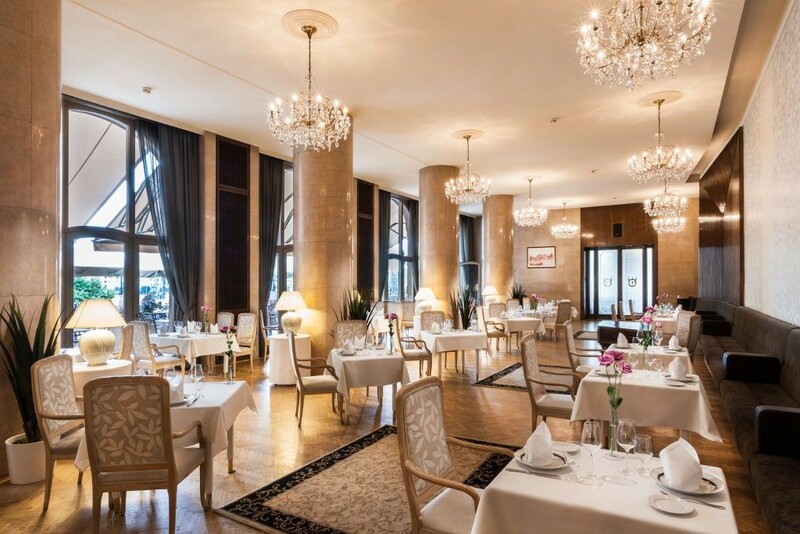 National Geographic’s Genius: Picasso features the hotel as Manhattan venue as we can see the French actress, Clemence Poesy in one of the inner restaurants in the 10th episode of the series. 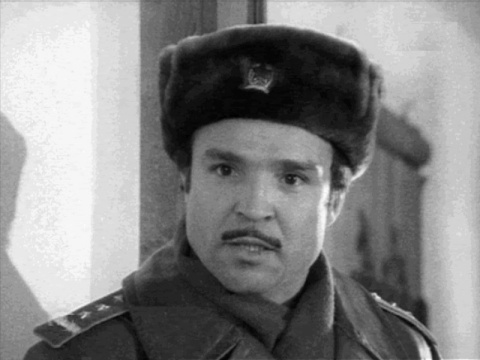 In the same year Jennifer Lawrence is questioned by a CIA agents about Russia in the hit movie, Red Sparrow. 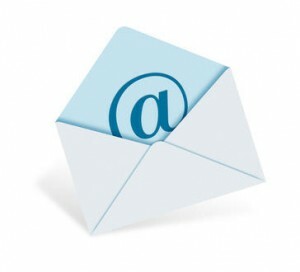 Film crews often visit different cities, World-famous places to find the perfect location for un upcoming blockbuster. Wes Anderson admitted that he visited Gellert, however he later picked another venue in Germany for his recent hit, Grand Hotel Budapest. 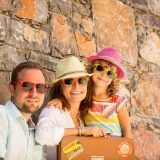 What caused the touristic boom? Hungarian motion pictures has gone through an enormous improvement thanks to the recent international productions taken place in the country. 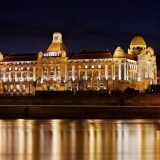 Different film crews visit Budapest and book thousands of nights in several hotels across the city whilst World-famous actors and actresses come and go on a weekly basis. 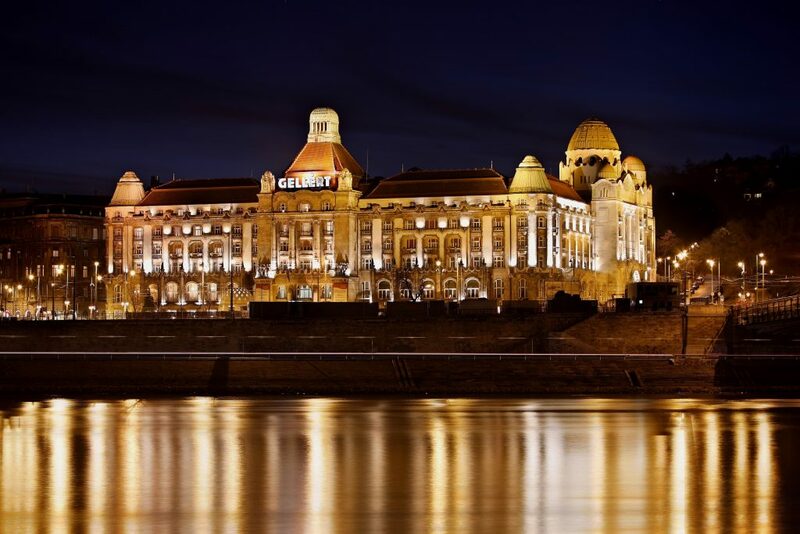 This has an outstanding affect on Hungarian tourism as not only the movie industry professionals, but the fans often visit the city to see their favorites, too. 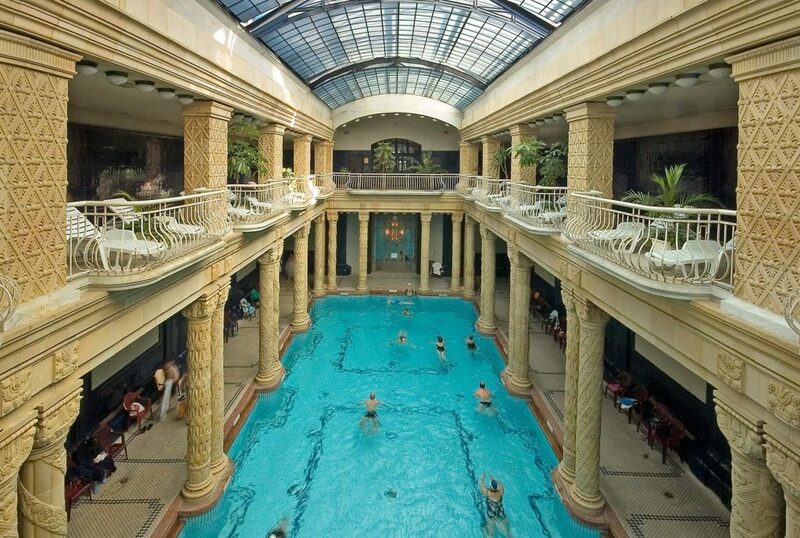 Stay with us and enjoy the company of World-famous celebrities whilst relaxing in the World-class Gellért Gyógyfürdő és Uszoda. This article was supported by the fabulous team of Film Destination Budapest. 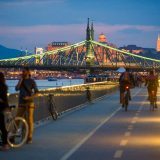 Next story Getting around Budapest – It’s easy and affordable!